In 1779 the fledgling U.S. naval fleet suffered a catastrophic defeat against the British in the waters of the Penobscot Bay, losing forty ships in a battle that was expected to be a sure victory for the Americans. Commodore Dudley Saltonstall was blamed for the debacle and ultimately court-martialed for his ineptitude. 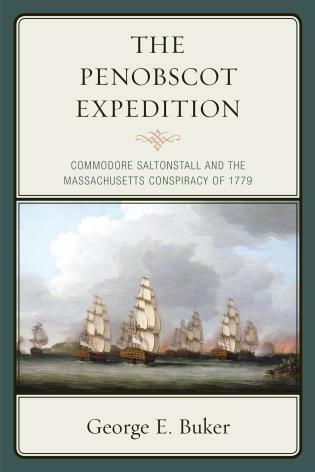 In this groundbreaking book George E. Buker defends Saltonstall providing compelling evidence that he was not to blame for the loss and that in fact the court-martial was rigged against him. Buker’s conclusions foster a reassessment of Saltonstall’s naval strategies and shed new light on the political maneuvers of the time. George E. Buker, a retired commander in the U.S. Navy, left active duty in 1963 and went on to become a professor of history at Jacksonville University until he retired 1987. Dr. Buker is the author of numerous books on the history of Florida, including Swamp Sailors in the Second Seminole War. His articles have appeared in a variety of publications including American National Biography, American Neptune, and The Oxford Companion to American Military History.